Opposition to the war in France grows. 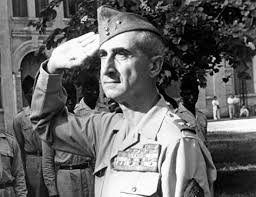 General Henri Navarre is appointed as the new commander of the French Army in Indochina. He plans to expand both French forces and those of his Vietnamese allies. The French Army launch an operation along Highway Four near the border with China and another operation to defeat the Viet Minh 320th Division. General Navarre plans for a French military operation to occupy a valley in North Vietnam which contains Dien Bien Phu. A biography of General Navarre. To be published on Saturday 13th Janaury.